1500 Ocean, the fine dining destination within the historic Hotel del Coronado that shuttered at the close of 2018, is being replaced by a new restaurant that will splash down at the oceanfront spot this May. Called Serēa, it’s being developed by Clique Hospitality, which operates dining and nightlife venues in Las Vegas and San Diego including Cosmopolitan Las Vegas and the Pendry San Diego; the group also has several projects opening at Sycuan Casino. Focused around sustainable seafood, Serēa will be run by executive chef Jojo Ruiz, who in 2017 launched Lionfish Modern Coastal Cuisine with Clique at the Pendry. 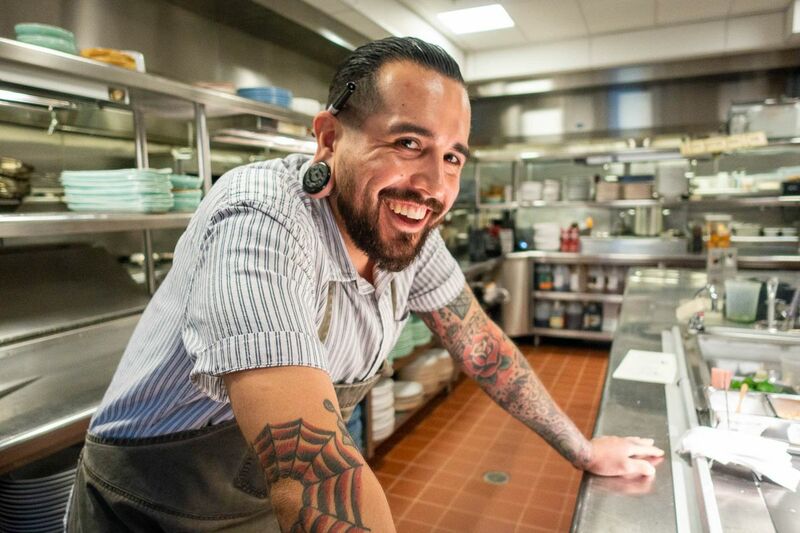 Ruiz previously cooked at Ironside Fish & Oyster and is a former semifinalist in Eater’s Young Guns competition. Described as “sea-to-table”, his menu of California coastal cuisine done Mediterranean influences — from whole fish to seafood towers — will source its ingredients directly from local fisherman and trusted area purveyors, including the Tuna Harbor Dockside Market; Catalina Offshore Products, LA’s Superior Seafoods and Pacifico Aquaculture in Baja California. The turf to all that surf, including heritage meats, will come from regional ranches. As the new signature restaurant at iconic hotel, Serēa will be undergoing a full design makeover. It’s reportedly just one of several refreshed dining options coming to the 131-year-old property.